Mrs. Mary Margaret Lacy Muse, 76, of Heritage Place, Morehead passed away Wednesday, March 27, 2019 at her home. She was born on January 4, 1943 in Morehead, Kentucky, a daughter of the late William Anderson Lacy and Gladys Stacy Lacy. Mary was a retired nurse, having worked at Pioneer Trace Nursing Home, Fleming County Hospital and Private Home Care and she was also a homemaker. She enjoyed flowers and spending time with her family. Her greatest joys in life were being a mother, grandmother and great-grandmother. 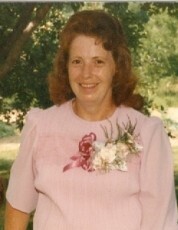 In addition to her parents, she was preceded in death by her husband, Buddy Dean Muse, who passed away on November 9, 1996, one son, Marlon Dean Muse, who passed away on August 23, 1993, one daughter, Vicky Gail Muse, six brothers, Vernon Lacy, Esmond “Red” Lacy, Lorenz Lacy, Wendell Lacy, Glennis Lacy and Gordon Lacy and four sisters, Rose Thurman, Ruth Brown, Imogene Lacy and Clarise Lacy. Survivors include one son, Billy Gordon Muse of Morehead, one daughter, Lisa Carol Coyle of Wallingford, one brother, Garold “Bugs” Lacy of Morehead, eleven grandchildren, Marlon, Morgan, Michael, Mitchell, Brandy, Davey, Brittany, Kyle, Tiffany, Desarae and Dalton, three great-grandchildren, Mason Cole Adkins, Colt Weston Coyle and Carter Allen Dean Stephens and several nieces, nephews, other relatives and friends. Funeral services will be conducted at 11:00 A.M. Saturday, March 30, 2019 in the chapel of the Michael R. Gray Funeral Home in Morehead with Brother Jim Porter officiating. Burial will follow in the Muse Cemetery at Muses Mills. Visitation is after 10:00 A.M. Saturday at the funeral home. Pallbearers will be Kyle Coyle, Woody Muse, Dalton Davis, Jerry Porter, Billy Muse and Billy Wayne Crawford. Honorary pallbearers will be Burl Ferguson, Marlon Muse, Michael Muse and Robert Workman.